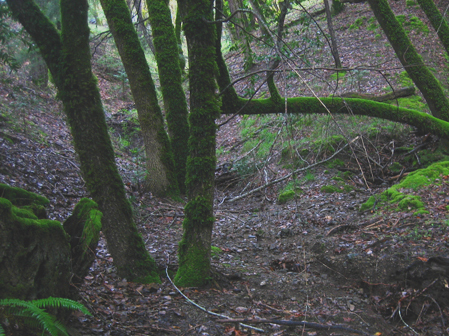 Fifty-five acres of wild mountain land in Mendonesia, Northern California, is the heart and Sanctuary of the Church of All Worlds. Forests of Madrone, Oak and Fir, with a small pond, seasonal streams, meadows, and inspiring views, provide the setting for four ritual circles, ritual paths, a Goddess-dedicated organic garden, and the famous Mushroom Temple personally handcrafted by the late Mage and Bard, Gwydion Penderwyn, and his friends. 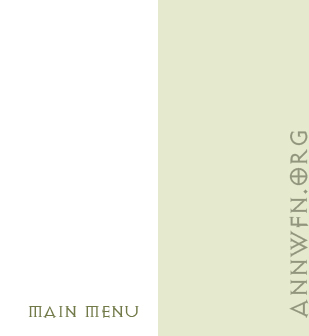 Annwfn is designed for and is intended to be utilized as Sacred Space. To this end the sanctuary is available for functions that correspond with the Wheel of the Year, and with love and respect for our Mother Earth. All are welcome to utilize the sanctuary for personal retreats and camping. If you wish to reserve the sanctuary exclusively, prior notice (subject to availability) and a commitment will be required. Please contact the Caretakers to request and schedule exclusive use of the Sanctuary. We encourage meditation and interweaving of spirit through wild-magic communion with the sacred trees and beasts. The Trees of Annwfn are accustomed to being talked with, and enjoy meeting new people. Pay attention to the spirits and guardians around you: but rather than binding them with your expectations, honor the Unexpected. Our magickal work recreates the connections between this world and the realms of Faerie. When the doors between the worlds open in this sanctuary, the magic spirals forth to heal the Earth and empowers us all. All Solar, Lunar and Cross-quarter observances are celebrated at Annwfn.